The Missouri Chamber Foundation’s Mathematics and Science Coalition will launch the Missouri STEM Signing Day program on May 8, 2019. Just like signing days for athletes, Missouri STEM Signing Day will celebrate Missouri high school seniors as they make their commitments to study a STEM field at a top Missouri college or university. This program will recognize outstanding students across the state who are inspired by STEM and dedicated to pursuing a STEM career pathway in college and beyond, as well as raise awareness of companies in Missouri for future career opportunities that they and others can pursue. Funded by the Boeing Company and the Missouri business community, the program will offer a $1,000 scholarship to a minimum of 10 students to help them pursue their STEM education goals at a 2-year, 4-year or technical college of their choice in Missouri. The funds will be unrestricted to be used for tuition, living expenses, books or technology. 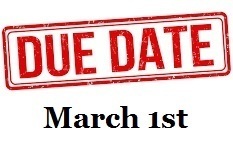 2019 graduating high school students planning to pursue a 2-year, 4-year or technical college in the Fall of 2019 are eligible to apply. Applications will be evaluated on the basis of passion for STEM learning, advancing society through STEM, high school activity involvement and scholarship. Representatives from the Missouri Chamber and corporate sponsors on the selection committee will determine recipients. To learn more, contact Brian Crouse, vice president of the Missouri Chamber Foundation, at 573.634.3511 or by email at bcrouse@mochamber.com.